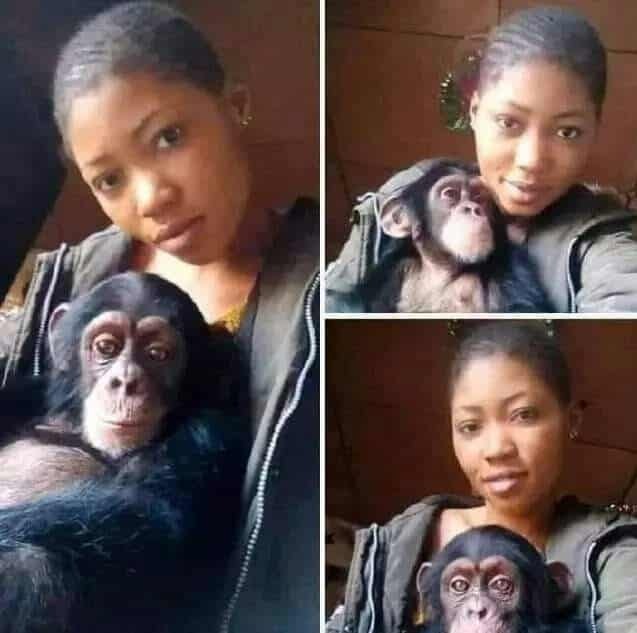 A yet to be identified lady has caused a lot of commotion on social media after she posted a loved up photo with her monkey. 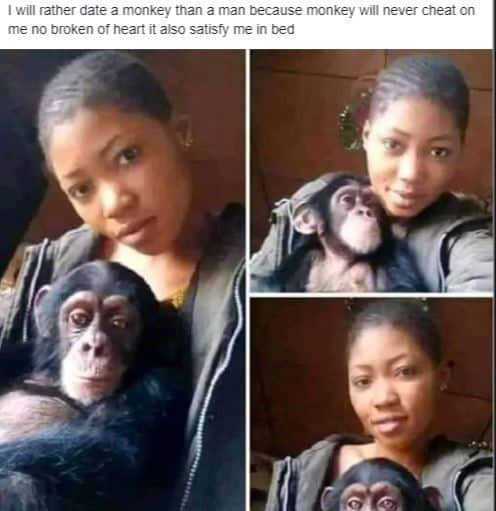 Sharing the photo on Facebook, the lady stated that she will rather date a monkey than a man, because monkey will never cheat or broke her heart. Who is now begging to date a man?.. So funny, can monkey satisfy you, I think she is possess.